Last night, after a very easy day of walking just about 9 kilometers, we then got a few taxis to take us to a wine vineyard a few miles out of town, which was an awesome way to spend a few hours before lunch. 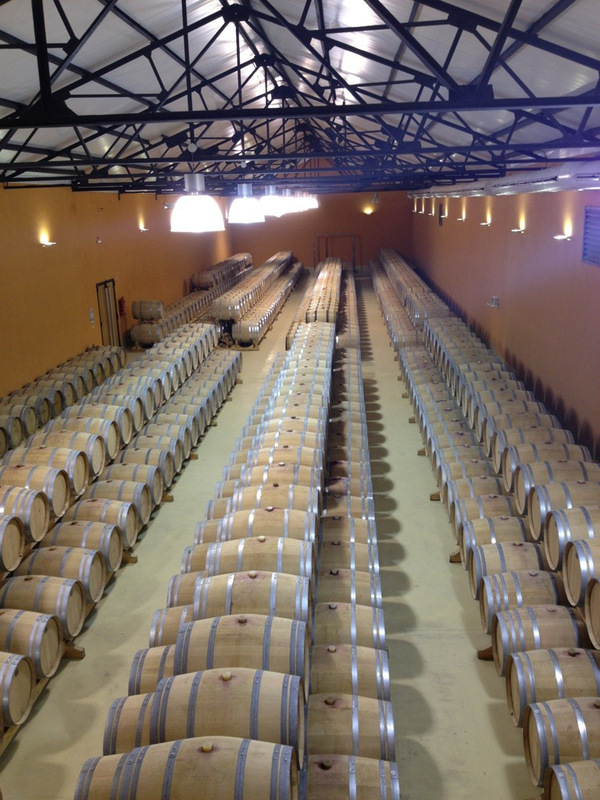 We were given a tour of the Tilenus vineyard and then had the opportunity to taste test the wine along with cheese, bread, and homemade empanadas. The day continued with a tour of the El Castillo Templario de Ponferrada. Today’s walk was much harder, in that we completed about a 24 kilometers leg of the trail from Ponferrada to Villafranca del Bierzo. With a population of just 3,463 it is another small village in northern Spain which has become the normal resting place for our group. Each town where we have stopped and stayed the night is so different and has its own qualities, yet they are also similar in certain ways. All of the operators of the albergues have been extremely nice, and with the exception of a night or two, we have all been able to get a good night’s rest. Today’s walk was through an enormous area of northern Spain’s wine country, which made the strenuous walk much more enjoyable. The aesthetics of this area are incredible, as depicted in the pictures below. We stopped for our daily 2nd breakfast in a village called Cacabellos, where I had a cafe con leche and some patatas. 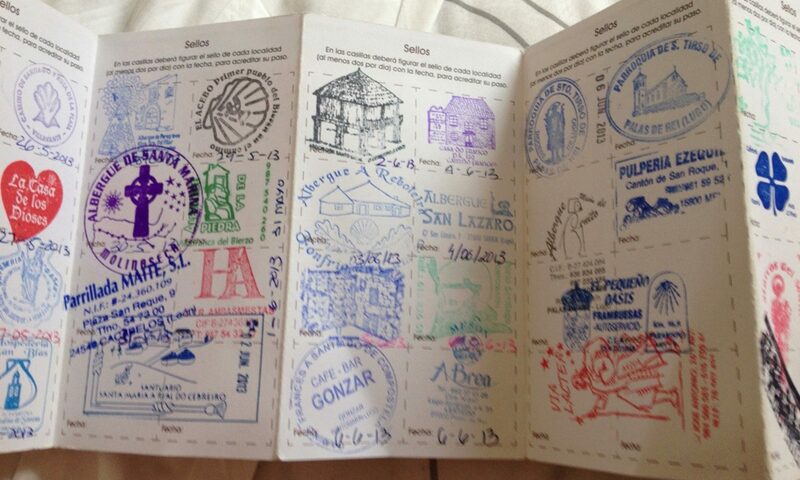 The rest of the group finished their bocadillos (sandwiches), got their sellos (stamps), and we were on our way. One of the highlights of the day came within the first 10 kilometers of the trek, when we came across a home that had a horse and a few dogs in the yard. 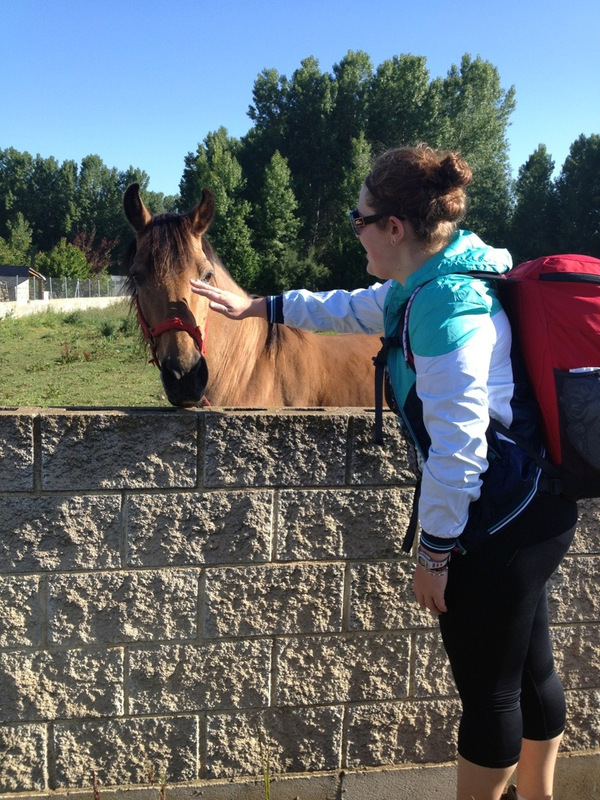 As we walked by, the horse immediately made its way over to the wall and calmly stayed there as we all petted and interacted with the awesome animal. Not to be outdone, one of the dogs came and jumped up to the wall for his photo shoot and to have all of the group to fawn over him.